Dr. John Barganier has been caring for patients in the Montgomery area for 20 plus years. Before partnering with Dr. Fry at SmileMakers in 1998 he practiced for 2 years in the Birmingham area. Dr. Barganier began his career in dentistry in 1996 after graduating from the University of Alabama at Birmingham Dental School. 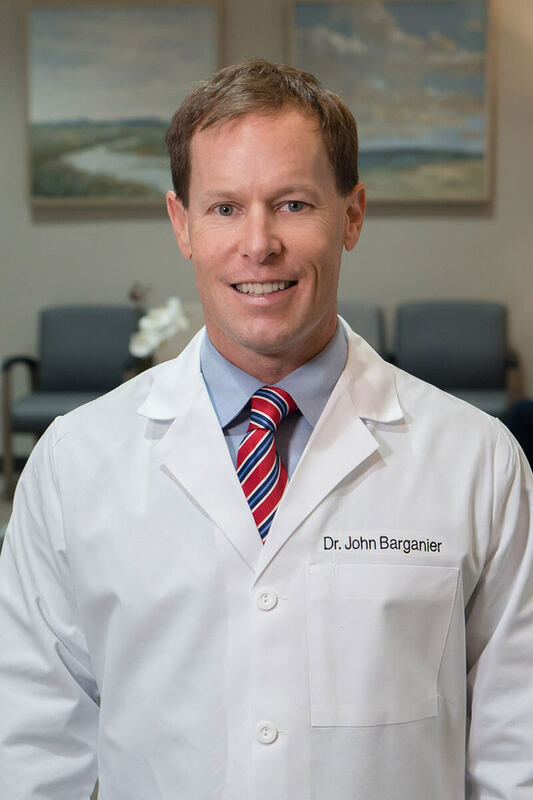 Dr. Barganier’s top priority has always been to provide his patients the highest quality of dental care, treating every patient with a gentle touch in a thorough and efficient nature. He regularly attends continuing education courses to stay current with the advancements in dentistry and is a certified provider of Clear Correct orthodontic treatment. Dr. Barganier maintains membership in a number of accredited and respected dental organizations including the American Dental Association, the Academy of General Dentistry and the International Congress of Oral Implantologists. Dr. Barganier volunteers his time and skills by going on dental mission trips around the world and with SmileMakers through their Dentistry from the Heart program which provides free dental services to those in need. Aside from dentistry he enjoys spending time with his wife, Ashley, and 3 kids. He is an avid runner and loves the challenge and community aspect of Crossfit workouts.